Mr. Michael O’Gorman is Managing Director for WASCO and has over 30 years’ industry experience. In his current role, Mr. O’Gorman holds overall executive responsibility for the growth and development of WASCO and its subsidiaries. This includes Nunavut Airport Services Limited, where Mr. O’Gorman acts as Accountable Executive in accordance with Transport Canada regulatory Requirements. 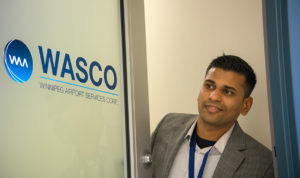 Previous to establishing WASCO, Mr. O’Gorman was Vice-President, Operations and Customer Service with the Winnipeg Airports Authority, a role he held during the commissioning of the new Terminal Building. 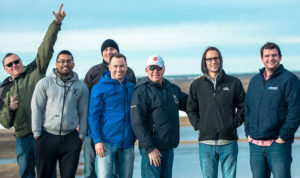 Prior to the Winnipeg Airports Authority, Mr. O’Gorman held various roles with the Government of Northwest Territories and the Government of Nunavut, including Director, Airports with Nunavut Airports. Mr. O’Gorman is an accredited International Airport Professional through the ACI-ICAO Airport Management Professional Accreditation Program, a licensed airfield electrician and a licensed airport rescue fire-fighter. Mr. James Lindsey has over 15 years of industry experience, most recently as Director, Airports. As a member of the executive team, Mr. Lindsey is responsible for the execution of airport management and technical services contracts including the delivery of Safety Management System administration and management to 26 airports throughout Canada. Prior to joining WASCO, Mr. Lindsey was an aviation consultant with WSP, holding various positions including Director, Aviation over his 11-year tenure. Mr. Lindsey was also a part-time faculty with the Canadian Aviation Institute, teaching Airport Planning. Over the course of his career, Mr. Lindsey has executed hundreds of aviation planning, engineering, architectural and other technical services projects for airports and heliports throughout Canada and internationally. Mr. Lindsey’s academic background includes a Master of Science in Airport Planning and Management from Loughborough University in England. Prior to Loughborough, he graduated class valedictorian from the Canadian Aviation Institute at Georgian College in Aviation Management. Mr. Lindsey is a licensed private pilot, an Accredited Member of the International Association of Airport Executives – Canada and sits on the Board of Directors for the Regional Community Airports of Canada (RCAC).